KUALA LUMPUR (Sept 17): British Airways will resume daily direct flights from Kuala Lumpur to London from May 27, 2015, after the suspension of the route 13 years ago. Jamie Cassidy, British Airways’ area general manager for the Asia Pacific, Middle East and Africa said now is the “right time” to revive the route due to strong customer demand. There are 450,000 people travelling between the UK and Kuala Lumpur, as well as 20,000 Malaysian students studying in the UK, which is a huge market for the airline, he told a press conference here today. Cassidy said lots of developments have happened since 2001 when British Airways suspended the route due to slow demand after 9/11 incident. “We recognised the world economy is increasingly moving to the East, hence the Asia Pacific region will be more and more important to the global aviation industry,” he added. Cassidy also said British Airways, as a ‘Oneworld’ member like Malaysian Airline System Bhd (MAS), will “cooperate and compete” with the latter. He cited the example of Cathay Pacific, the founder of the Oneworld airline alliance, which also competes with British Airways for the Hong Kong route. 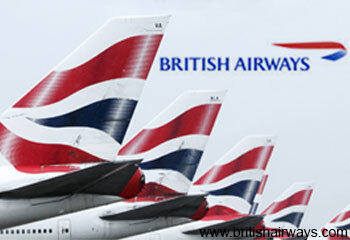 The British Airways’ daily direct flights between London and Kuala Lumpur will depart from Kuala Lumpur at 11.05pm local time and arrives at London at 5.25am the next morning, while the flight from Heathrow Terminal 5 will depart at 8.15pm, to arrive at Kuala Lumpur at 4pm the next day. The ticket will be on sale at 5pm today. All-inclusive return fares start from RM3,696 for World Traveller economy class, RM5,390 for World Traveller Plus premium economy class, RM15,264 for Club World business class and RM29,658 for First class. Cassidy also noted that the Malaysian Airport Holdings Bhd (MAHB) has been giving a lot of assistance to enable the airline to revive this route. MAHB has been trying to woo British Airways and Australia’s Qantas Airways to come back to Malaysia.